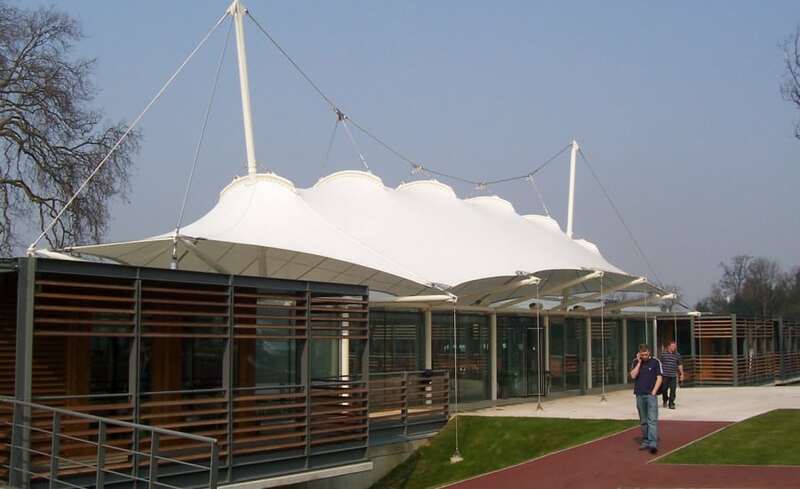 The development of the brand new National Tennis Centre was a worthy addition to the collection of prestigious sporting venues Architen Landrell has provided a tensile fabric structure for. 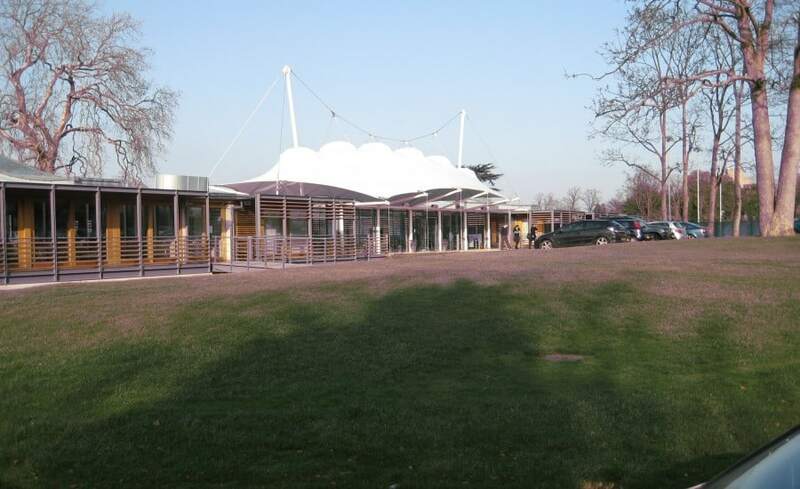 Refurbishment plans originally began ten years ago when the Lawn Tennis Association decided to build a national tennis centre after a government report on tennis recommended that the sport in this country needed a purpose-built, all-in facility dedicated to producing world class players. 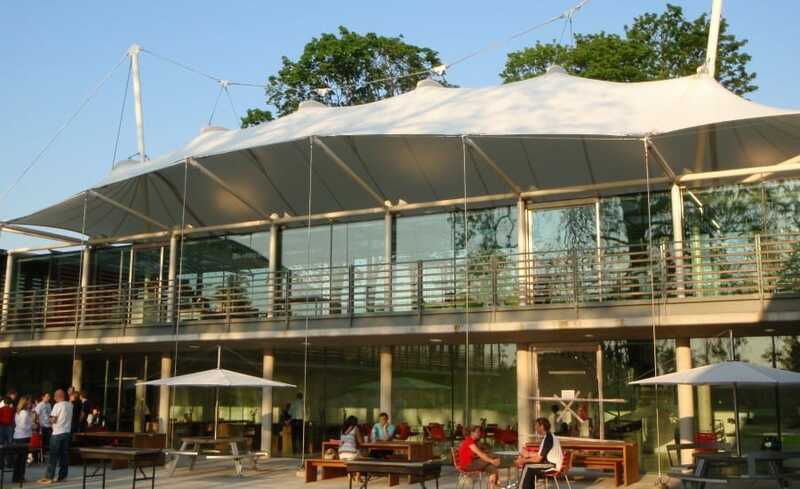 Leading up to the construction period, the LTA had undergone the biggest upheaval in its 119-year history, culminating in an impressively modern tensile fabric structure and extensive tennis facilities. 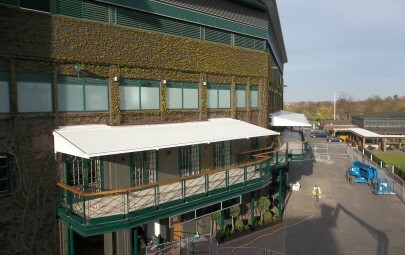 The reception area marks the entrance to this unique tennis centre. 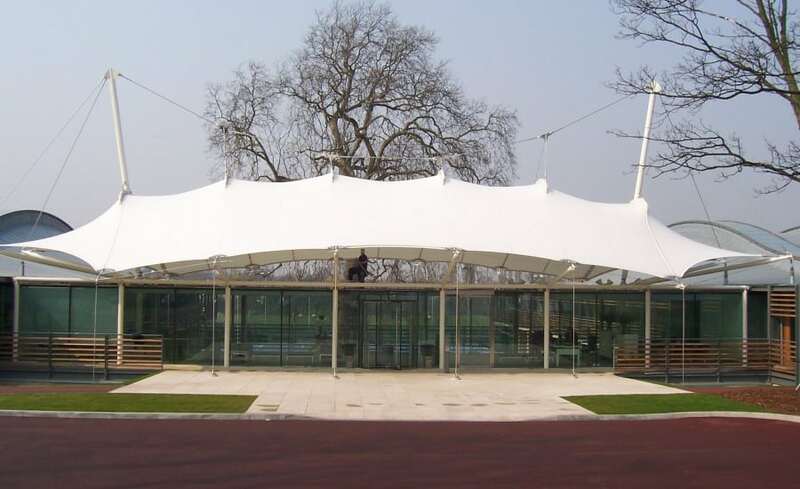 A stunning glass-sided building, housing a smaller glass reception box is all encompassed by a ribbed PTFE coated glass cloth tensile fabric roof structure. 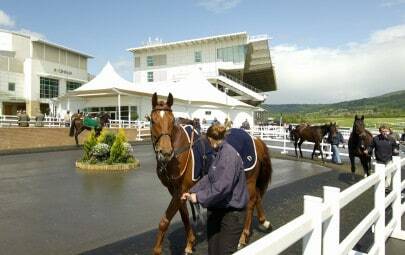 The canopy itself was beautifully made in our purpose built factory to bespoke design to form an iconic entrance to the centre. 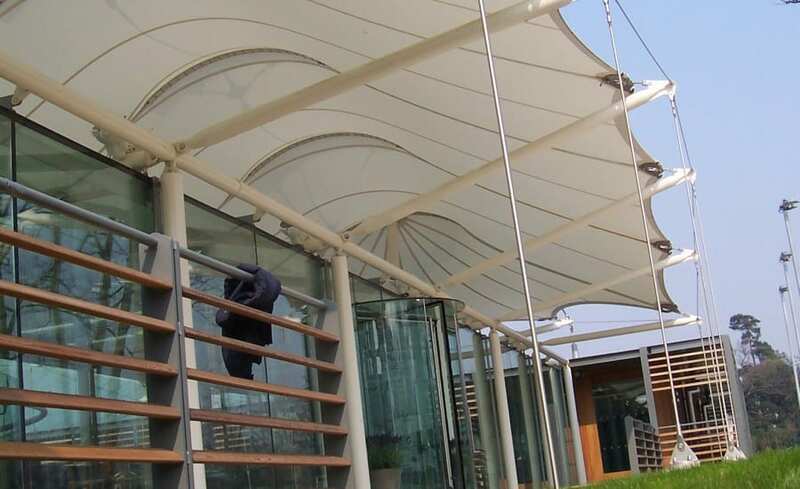 Contrasting with the angular glass building below, the curving canopy provides the perfect accent. 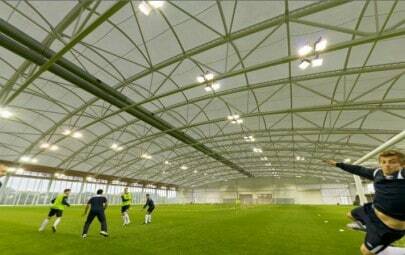 A challenging project for the whole team, the National Tennis Centre has proved to be one of Architen Landrells most successful structures.